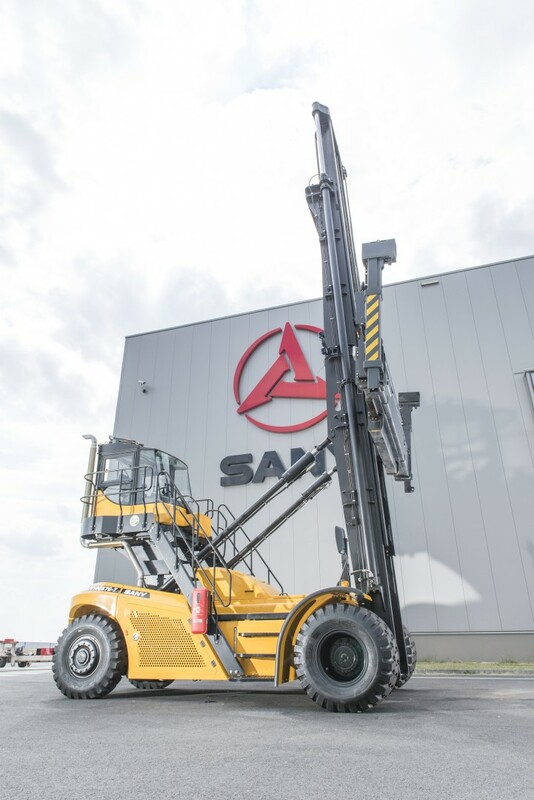 SANY container handlers feature a full-electric control diesel engine that truly optimises performance and economy. The high-torque Volvo diesel engine provides quick, smooth operation. Bus throttle control technology provides efficient and responsive acceleration and avoids unnecessary loading in low speeds, so engine wear and stresses are minimised. 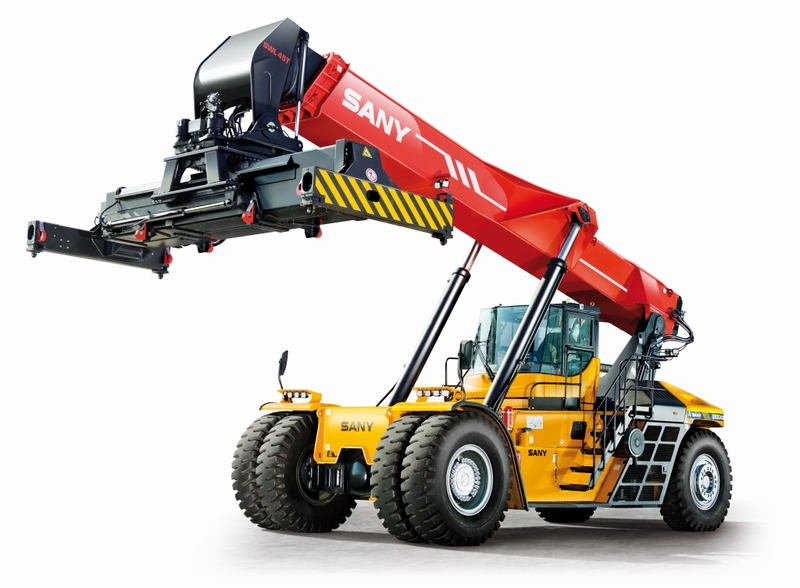 Advanced Hydraulic Load-sensing Technology automatically detects load weight and delivers the exact power needed. 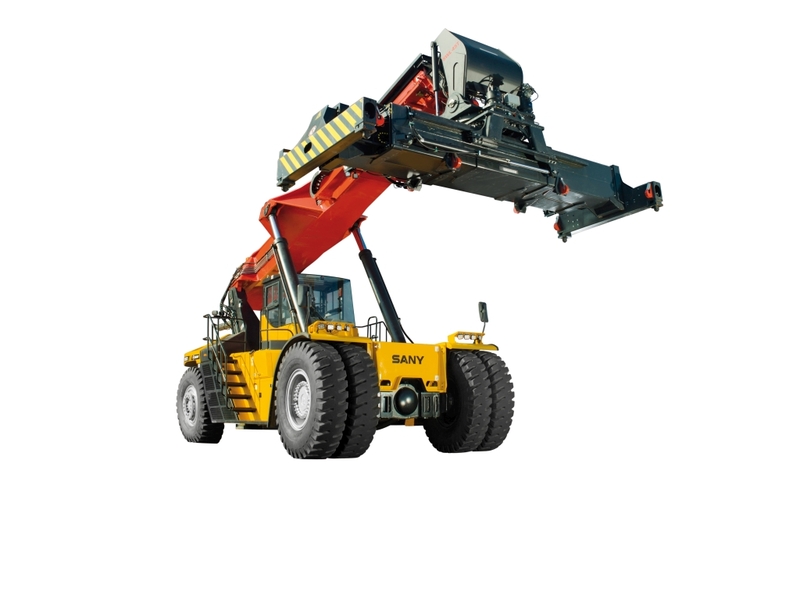 SANY empty-container handlers are made with the operator in mind with comfort, easy operation and machine durability mean maximum productivity. 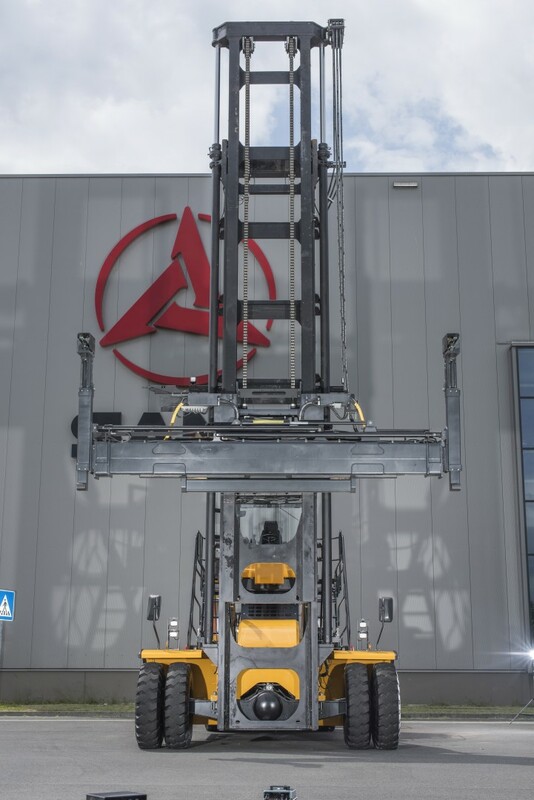 Creative cab design puts the operator at its heart, with streamline shape and open view. An advanced control system, sound and light alarm device for malfunction, GPS remote monitoring system, real-time monitoring with an intuitive, ergonomic layout provide excellent operator comfort and control.